From the discussion I've seen, many posters link the "four Adams" to the pilots themselves - Shinji, Rei, Asuka, and Mari (seeing as Kawuro is already an oddity, although I've seen it the other way). Unit-01 has had this power activated prematurely, before the other Units could do the same. 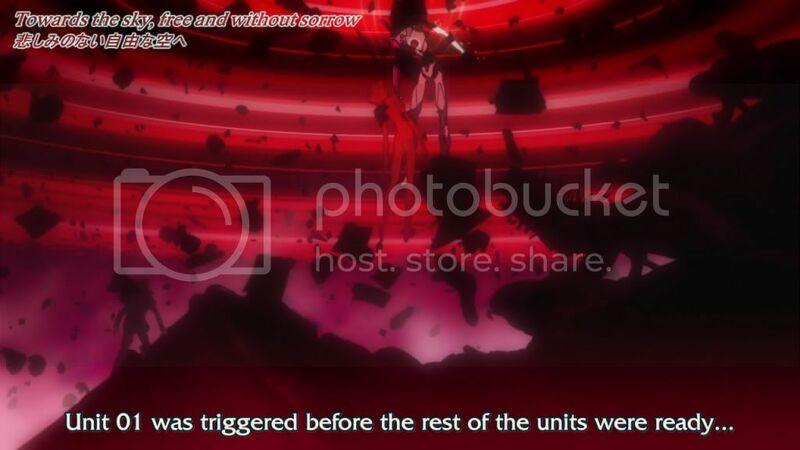 I left out Unit-06 because that's SEELE's secret weapon and not part of the plan. Unit-07 is a mystery to be discredited. I bumped this thread myself about three weeks ago with my own observations on the identity of the Adams. More specifically, the identity of one of the Adams. I think your theory would fit in nicely there. Fuyutsuki (I think/maybe Gendo) says there were only planned up to 5 when they are observing the moon base; they didn't know about any units from 6 onwards until they got in to space because Kaji gave them the info - so I don't think that Gendo knows what 08 is going to be. Has anyone seen this image or noticed these connections before? If so, would you mind shedding some light on this? I have next to no experience with Ultraman, but if it's authentic this could be a major find. Are those crucified Ultramen found in the actual show, or are those images fan-made? Yesterday I saw a short video that Hyper Shinchan posted a video of Anno's recent interview here, in which he talks about Ultraman. Could this be related? As of now, I'm thinking this was just an Easter Egg that Anno included for Ultraman fans to notice. Note the symbols on their chests. 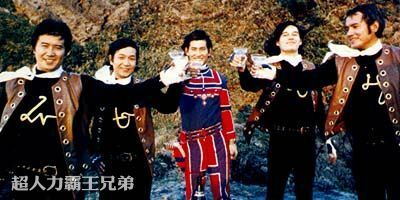 The names Zoffy, Man, Seven and Jack, written under each of those crucified Ultramen, are the names of four of the Ultra Brothers, "Man" being the original Ultraman. riffraff11235 wrote: I have next to no experience with Ultraman, but if it's authentic this could be a major find. It's well known that Anno is a major Ultraman fanboy (see also the Hideaki Anno action figure) and Shinji's rescue of Rei in 2.x parallels a similar sequence in Ultraman Nexus. Finding even more references would be no surprise -- we just need an Anno-level Ultraman fan to find them for us. Which was also a parallel to Utena, although that's no surprise since Utena staff member Enokido also worked on 2.0. Sailor Star Dust wrote: The "you never change" part is pretty straightforward with possibly knowing Shinji in the past, but the "Third again" part is really...yeah. Kaworu's literally saying the number three, nothing about pilot status. Here's what I get from the Japanese lines, somebody correct me if I screwed something up. ...I know. That boy down there is waking. I guess we enter the Generalization Phase. That's right. The Dead Sea Scrolls Apocrypha has entered into the Book of Law. The time of contract is near. The third again, huh. You never change, do you. I look forward to meeting you, Ikari Shinji-kun. Come now, it's the promised time, Ikari Shinji-kun. This time I will certainly make...only you happy. Although we also have to keep in mind there's lots of babbling from both Seele and Nerv about a Contract with Lilith. Hm, something about the Adams or the Dead Sea Scrolls (Apocrypha included or not), I guess? Thoughts relating to the pilots (whether all or some of them) were ADAMS, particularly Shinji and Kaworu? I still like the idea that 4 of the Eva units instead were ADAMS, but all this is speculation anyway so who knows how the plot and backstory will end up being in 3.0 and Final. I still find it more likely that at least Eva-01 and Mark.06 are two of the Adams from the iconic picture. The similarity between Eva-01 mid-apotheosis and the rightmost Giant of Light from the Second Impact sequence in 2.0 can't easily be ignored or argued away. riffraff11235 wrote: I still find it more likely that at least Eva-01 and Mark.06 are two of the Adams from the iconic picture. It makes sense at least some of the Evas were originally brunt out Adams then constructed accordingly (resident souls and all). Although it DOES make me wonder about the four Adams and where there soul(s) would have gone. I originally assumed NME-verse Adam was one being and just had the ability in NME-verse to split verself into four parts during Second Impact. And the soul still ended up in Kaworu ala NGE. Thinking too deeply mode: ON! But I wonder, if you really want to get "out there" with theorizing, perhaps the pilots PLUS their respective Evas (whether or not all Evas have souls in NME) each make up a half of a whole Adam? So, Shinji (half an Adam soul) + Eva-01 (half an Adam soul) = a whole Adam? But that sounds too confusing if the Evas still have resident souls in NME and the Adams later being reborn as "normal" children...who just happen to be the Eva pilots. Insert Gendo's rambles about 14 year old scenario here? Although I think Gendo's plans are strictly Shinji/Rei/Eva-01 related, I assumed his scenario might deal with the "contract with Lilith", whether or not Rei=Lilith ala NGE. But how "contract with Lilith" might relate to the Adams, who knows! Sailor Star Dust wrote: I agree. I'm thinking more on "Moar human Angels" than that. It would be cool to see a male or female angel that isn't Kaworu or Rei. Sailor Star Dust wrote: But I wonder, if you really want to get "out there" with theorizing, perhaps the pilots PLUS their respective Evas (whether or not all Evas have souls in NME) each make up a half of a whole Adam? So, Shinji (half an Adam soul) + Eva-01 (half an Adam soul) = a whole Adam? But that sounds too confusing if the Evas still have resident souls in NME and the Adams later being reborn as "normal" children...who just happen to be the Eva pilots. Insert Gendo's rambles about 14 year old scenario here? Although I think Gendo's plans are strictly Shinji/Rei/Eva-01 related, I assumed his scenario might deal with the "contract with Lilith", whether or not Rei=Lilith ala NGE. But how "contract with Lilith" might relate to the Adams, who knows! This could have relations to Fuyutski's statement that "These children have had their fates determined since the day they were born." Maybe Shinji wasn't really Gendou's son in NME, but rather an segment of one of the Adams that had taken human form. This idea is a totally on the fly fanwank, and therefore may have more holes in it than Swiss cheese. It's been argued before - I believe as a consequence of the weird Angelic body Shinji briefly appears to manifest while diving into Zeruel's core. (possibly even argued by me.) I can't say I'd be too impressed if it was the case, but the recurrence of four in Rebuild does seem pretty suggestive of something or other. Four Adams, four "good" pilots, four Reibabbies, etc. Azathoth wrote: It's been argued before - I believe as a consequence of the weird Angelic body Shinji briefly appears to manifest while diving into Zeruel's core. (possibly even argued by me.) I can't say I'd be too impressed if it was the case, but the recurrence of four in Rebuild does seem pretty suggestive of something or other. Four Adams, four "good" pilots, four Reibabbies, etc. Though I remain unconvinced with the pilots. There are clearly five total, and it's not yet clear whether Mari is friend or foe (foe to Angels, certainly, but that puts her in the same boat as Kaworu seeing as how he aborted 3I). I'm not really convinced with the Reis, either; four youngsters, yes, but if they're all clones that doesn't amount to much -- there are still five Reis total. So, four Adams + 1 Lilith. Five children. Five Reis. Three destroyed Evas, leaving us with 1, 2, 6, 8, and presumably 7. Is the real magic number five? If so, why? Bagheera wrote: Though I remain unconvinced with the pilots. There are clearly five total, and it's not yet clear whether Mari is friend or foe (foe to Angels, certainly, but that puts her in the same boat as Kaworu seeing as how he aborted 3I). I'm not really convinced with the Reis, either; four youngsters, yes, but if they're all clones that doesn't amount to much -- there are still five Reis total. Avast! don't ye lump Mari with that bilge sucker kaworu. Because I would argue that Mari is freelancing right now. Who Mari is working for is unclear but she seems to have her own separate agenda from them. And Kaworu clearly is under orders from SEELE and in all likelihood is an angel. Just the fact he aborted 3I doesn't automatically make him and enemy to angels, and since he works for the committee he is just making sure that 3I happens in accordance with the scrolls. KnightmareX13 wrote: Avast! don't ye lump Mari with that bilge sucker kaworu. Because I would argue that Mari is freelancing right now. Who Mari is working for is unclear but she seems to have her own separate agenda from them. And Kaworu clearly is under orders from SEELE and in all likelihood is an angel. Just the fact he aborted 3I doesn't automatically make him and enemy to angels, and since he works for the committee he is just making sure that 3I happens in accordance with the scrolls. We don't actually know that. Hell, for all we know SEELE might wind up being the good guys this time around. It's unlikely but we can't assume anything. Wait, if there are four Adams, who is the First Angel...? While re-watching 2.22 last night, something hit me (and I apologize in advance if this is already a topic) - if there are four Adams, are Adam and Lilith still considered the First and Second Angels? If Adam IS considered the First, are all four? Just one? If Adam isn't, who is? And what does that mean for Lilith's angelic numbering? Lilith was still numbered as the Second Angel in 1.11. We have no idea yet who's the First Angel in NME. Well, Adam could still be the first Angel. Like what if he can split himself up like Israfel did. I'm just saying, this is all What Ifs really. I thought the splitting self trait is possible too, but we just don't know yet. If they are calling them the '4 Adams' then I could see it as 'Adam' being the first angel (including the 4 'incarnations' for lack of a better word. So yea, splitting XD Lets hope Q answers more question than it raises. TheFriskyIan wrote: Well, Adam could still be the first Angel. Like what if he can split himself up like Israfel did. I'm just saying, this is all What Ifs really. I generally assumed something like this was at work. We know soul splitting was possible in NGE, so maybe they decided to run with it and fully develop the idea this time around. I suspect (hope) the scene with the Ree (Reis? Whatever) will explain a few things.